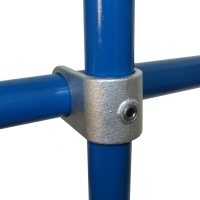 Designed to form a 90Â° joint between two tubes. Often used to add to existing structures. For new structures type 161 can often be used as an alternative.